Hmm, it seems that “Arthur Z”‘s supposed full name is in fact “Arthur Zerro,” aka A. Zero! It’s like he’s leaving little breadcrumbs to make the fact that he’s a scam artist and a loser obvious. Presumably he’s undermining his own grift because deep down he despises himself and wants to be caught, which is lucky for our heroes because that’s pretty much the only way this crew of dingbats is going to actually catch him. You know, Funky Winkerbean isn’t just about jokes that one character tells and then another character doesn’t get it because it’s too obscure or poorly worded. Sometimes it’s about jokes that one character tells and then another character understands it perfectly fine but doesn’t appreciate it because it’s actually pretty condescending. 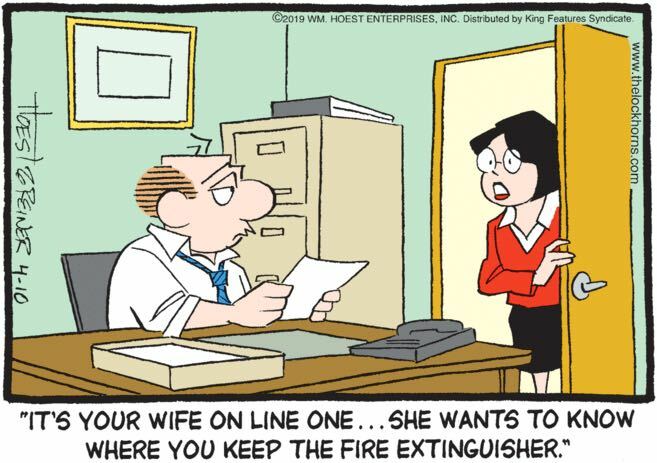 Crankshaft is a fun comic strip about a middle aged couple and how they deal with an elderly parent living with them! The way they cope is by becoming alcoholics.